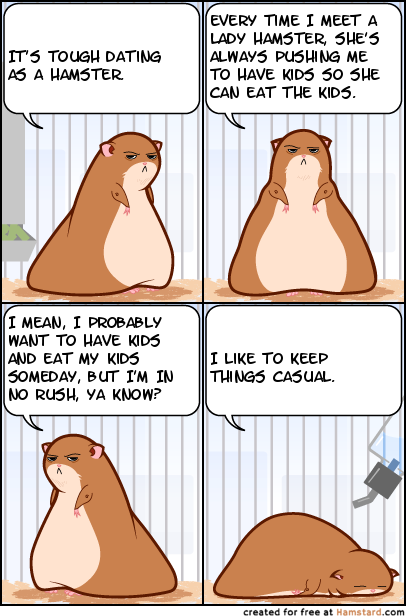 It's tough dating as a hamster. Every time I meet a lady hamster, she's always pushing me to have kids so she can eat the kids. I mean, I probably want to have kids and eat my kids someday, but I'm In No Rush, Ya Know? I like to keep things casual. 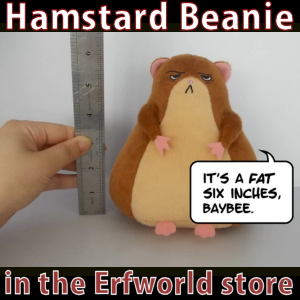 This is maybe my favorite Hamstard of all time and the first I have ever tipped for.